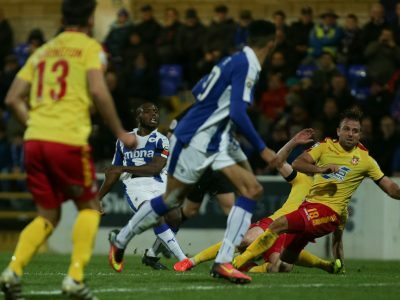 TICKETS | Wrexham away tickets on sale this Saturday and Sunday! 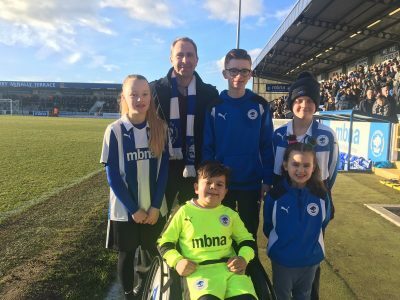 SPONSORED WALK | Blues on the March! 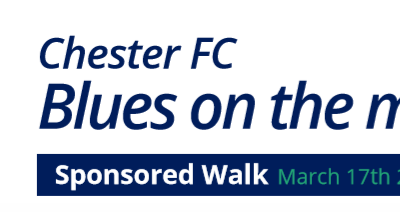 On Saturday 17th March, Chester FC will be hosting the annual sponsored walk from the Swansway Chester Stadium. On Saturday 17th February, we revealed that Aash-Jai had won the Swettenham Chemists Family Zone signage competition!